This week we are exploring "le no makeup look" with a new matte palette I recently purchased from Tarte. But, as always, you do not need to use the exact makeup I use in this video. You can most likely recreate this subtle look from the makeup you already have! All you need are some soft pink, mauve, plum or taupe matte eyeshadows and a soft pink matte blush. This is such a lovely look for when you want to look as natural as possible. No shimmer, no sparkle, just beautiful shades that blend seamlessly into your skin. I also share a no makeup look trick of mine: to only apply mascara to the outer lashes. This gives the illusion of long lashes but looks marvelously natural at the same time. I wore this very makeup look in last week's video discussing the ten-item wardrobe. I hope you enjoy! For more on le no makeup look, check out my book, Lessons from Madame Chic. FTC: all makeup featured in this video was purchased by me. How do you like this look. Will you try it this season? 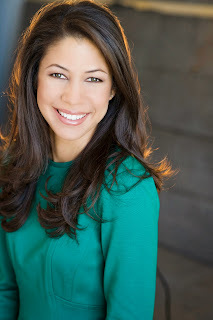 I am featured this week on Kimberly Wilson's Tranquility Du Jour podcast. Check it out here! Certified Nutritional Therapist, Chelsea Blackbird, reveals the valuable reminders she gleaned from Lessons from Madame Chic in her lovely review on the Daily Nutritionist. Purple Daisies mentions Lessons from Madame Chic in her Parisian Influence blog post (and she loves it!). Natasha from Pralines and Crunches breaks down the twenty lessons from the book and mentions how they relate to her life. Fabulous! Stay tuned next week for the highly anticipated Spring Ten-Item Wardrobe video. Before this week's post begins, check out the beautiful Slovak copy of Lessons from Madame Chic, which was sent to me by my Slovakian publisher, Ikar. What a treat! I look forward to connecting with my Slovakian readers very soon. If you have been practicing a ten-item wardrobe, this should be easy and fun for you. You already know what to do. Store away your winter items that you no longer need. Keep any sweaters or lightweight coats on hand in case the weather turns (and these days, the weather always seems to be turning! ), bring out the clothes from last spring/ summer that you plan to use again this year and mend anything that needs to be mended. At this point you should write down a list of anything you need to purchase for your spring wardrobe. (All of my readers in the southern Hemisphere who are not going into spring, you can do this for your fall wardrobe.) Keep in mind the colors you'd like to wear this season and plan what would go nicely with what you already have. Don't forget to include the "extras" (like tee shirts) and accessories on this list. Keep your list handy and your budget in mind when you're out shopping and slowly, like you're on a treasure hunt, you can tick items off your list. This part is so much fun. Hang your items proudly in your closet and just enjoy yourself this season. If you haven't yet started your own ten-item wardrobe, it's never too late to start. Don't be intimidated by the number TEN. Ten is just a guideline. You can have twenty core items if that works better for you. It's not about the number, it's about your fresh new mentality about your wardrobe. You have chosen to think of your capsule wardrobe as art and you have decided to not let another day go by where you aren't wearing something that is authentically you. So just start wherever you are. You are not behind. 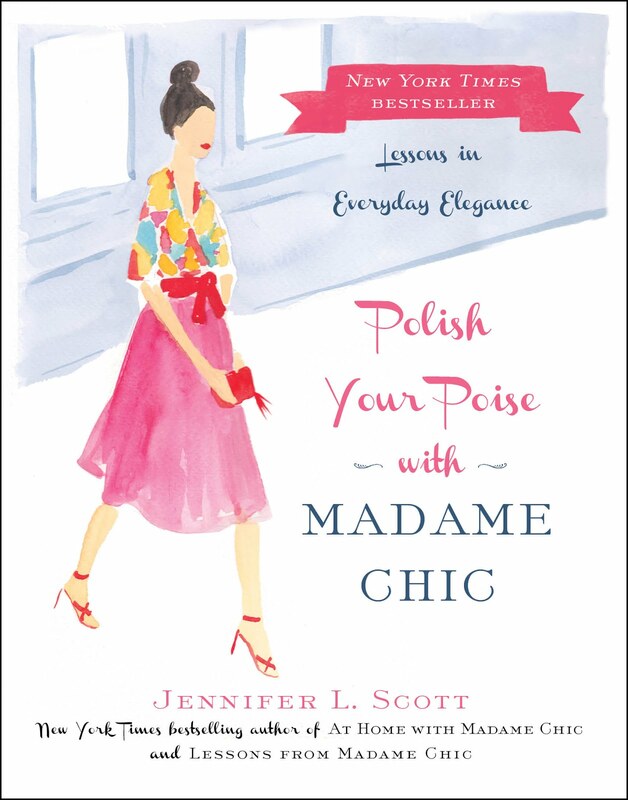 For more information on the ten-item wardrobe, check out my book, Lessons from Madame Chic. 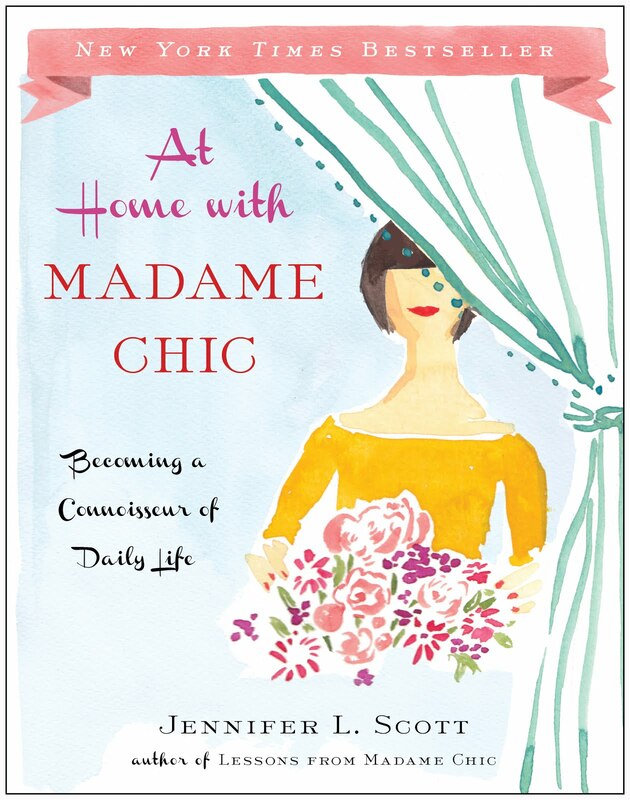 Hamilton's Real Style magazine has given Lessons from Madame Chic a fabulous review. 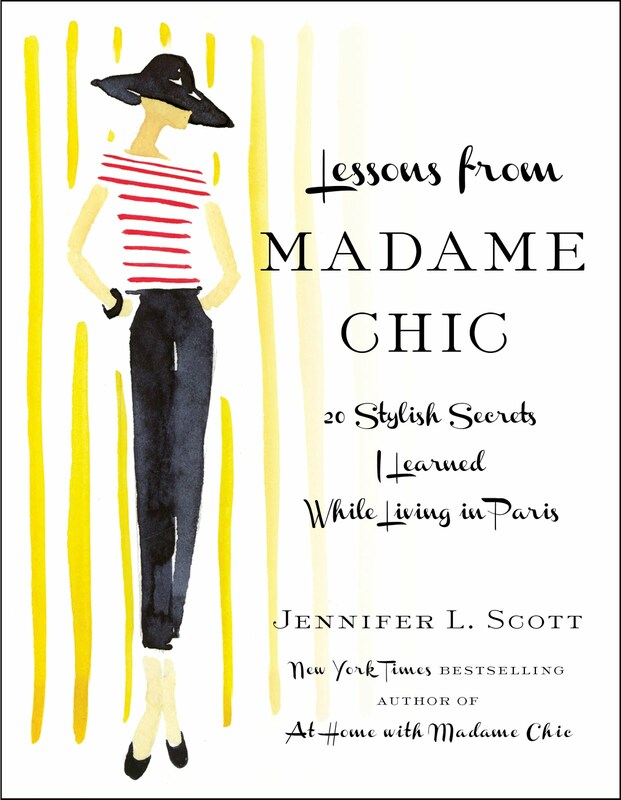 Jenny of JenEric Generation blog discusses her favorite style points from Lessons from Madame Chic. I have finished my second round of edits for book two and have sent it off to my publisher at Simon & Schuster. Hurray! Check out my 14 second facebook message here. 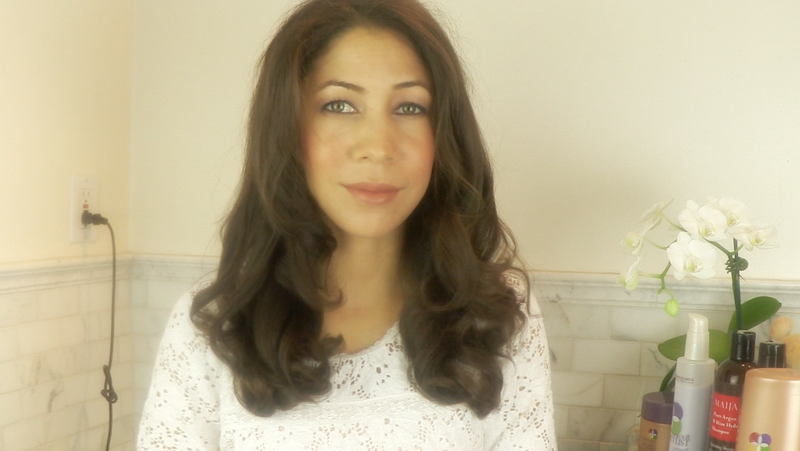 If you like the "le no makeup look" I'm wearing in this week's video, stay tuned next week for a video tutorial. I would love to know... how is your spring ten-item wardrobe coming along? On your social media sites, be sure to use the hashtag #TenItemWardrobe. This week we are exploring the world of hair. I have received a lot of requests to recreate the curls I wore in my New Year's Message video as well as an update on current hair care products I'm using. This week's video gives you both. We start with the tutorial, in which you'll note that the secret to having soft, voluminous curls (I think perhaps the Duchess of Cambridge employs this look every now and then?) is to alternate the direction of the curl with the curling iron. Pureology Super Smooth Relaxing Hair Masque I use this once a week or so in lieu of regular conditioner. Maijan Pure Argan Oil & Mint Hydrating Conditioner The mint provides a tingling sensation shortly after applying. You feel as though you are really nourishing and cleaning the hair. Living Proof Primer Style Extender This is a primer for your hair that, I find, makes styling last so much longer. Pureology Colour Stylist Anti-Split Blow Dry Cream A great heat protectant to apply before blowdrying your hair. Pureology Colour Fanatic Multi-Tasking Hair Beautifier This heat protectant is so great because you don't need to keep reapplying it if you use different forms of heat. One application and it does the job. Maijan have kindly offered to give away one Pure Argan Oil & Mint Shampoo and Conditioner to a reader of the Daily Connoisseur. This giveaway is open to US residents only (apologies to my international readers, but I do not set the guidelines). Please enter via the rafflecopter widget below. The winner will be announced on the widget in one week's time and directly contacted by Maijan. Good luck! After our intense month discussing The Untethered Soul, I thought it would be fun to do a get ready with me video: makeup edition. In this video I'm getting ready to attend a casual business luncheon for the Harvey Mudd Entrepreneurial Network (remember when I spoke to them last fall about artistic entrepreneurship?). Did you know that not all of your favorite makeup brands are cruelty-free? Thank you to Jessie, a reader of the Daily Connoisseur, who sent me Peta's cruelty-free search index. Check to see the status of your favorite brands and make your own informed decision about the makeup you use. The products listed above with the ** at the end of their name are all cruelty-free. Going forward, I feel inspired to review, support and seek out more of these conscious brands. 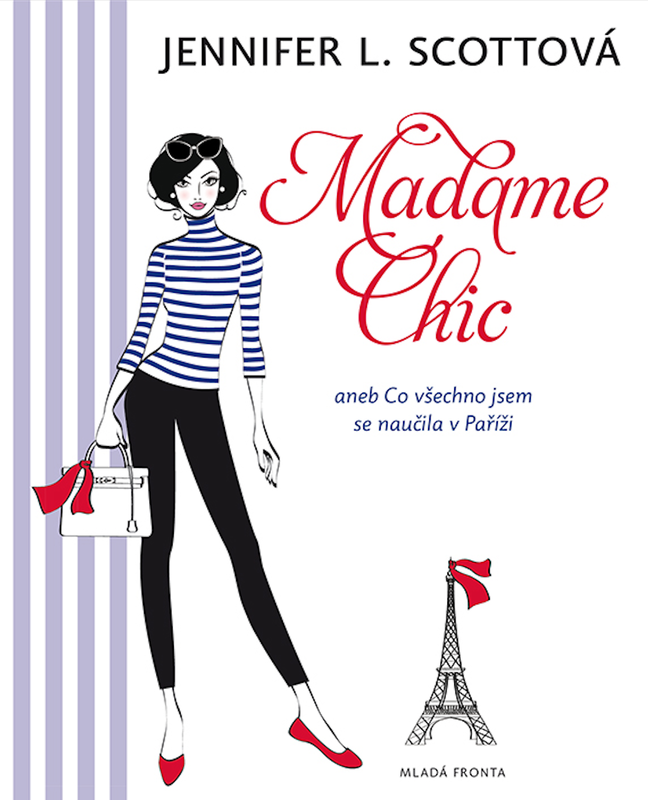 Here is the fabulous Czech cover for Lessons from Madame Chic, which will be released this April from Mladá Fronta. I look forward to connecting with my Czech readers very soon. Would you like to see more of these videos? I love to hear from you! Leave me a comment below letting me know.